In accordance with § 93B-2 , the Board of Nursing submits an annual report to the Secretary of State, the Attorney General, and the Joint Regulatory Reform Committee. 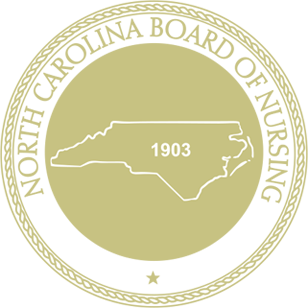 The North Carolina Board of Nursing supervises the licenses of Licensed Practical Nurses and Registered Nurses. The North Carolina Board of Nursing also supervises the Nurse Aide II listing and the Approvals to Practice for Nurse Practitioners, Certified Nurse Midwives, Certified Registered Nurse Anesthetists and Clinical Nurse Specialists.